“I love farming and wanted to grow some food so decided to grow sweet corn, peanuts and cowpeas. I cultivate these three crops turn by turn. As I am growing it for additional income along with my present job I wanted to grow less labour intensive crop. These crops are protein rich legume grains that replenish fertility of soil and don’t require every day monitoring unlike vegetables. 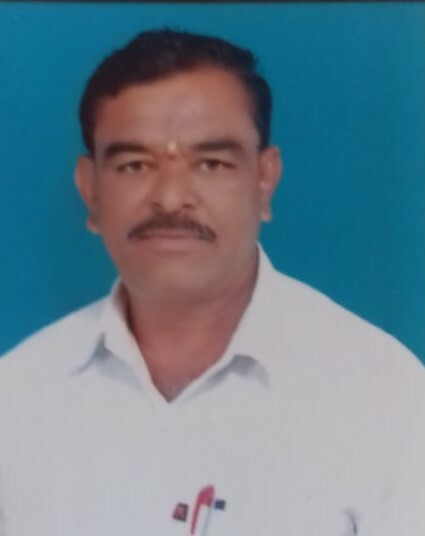 Besides, these legume beans have longer shelf life hence selling is not a worry whereas vegetable selling needs to be organized on a regular basis because it is perishable in nature,” says Mr. Purnendraswamy Bhoosnurmatha, a farming enthusiast. His farm is located at Methgal village, Koppal district, Karnataka. One my 4 acre farm, I am growing cowpea on 0.5 acre. The crop is easy to grow and the production expenses in almost negligible because the soil fertility is always intact as I grow protein rich legume grains mainly groundnut and sweet corn on rotation basis. Cowpea is 3-3.5 month old crop. First and foremost seeds were taken from the neighbouring farmer through barter system. Then after post harvesting, some seeds are saved for the next season. I am observing the new batch of seeds saved performs better in every cycle. Besides there is no need for treating the seeds with any solution because the soil is nourished and the seeds used are next generation seeds saved from last harvest. However I feed the soil before sowing seeds with either cow manure or goat manure. These two manures are used alternatively every year. After adding the manure we plough the land then after we make rows instead of making beds and sow the seeds. No manure or fertilizer is fed in the soil after sowing seeds and not even weeds are plucked. Irrigation is done once or twice in a week. In my farm I do not have the drip lines so irrigation is done manually. As the land is leveled, I have made a small canal such that it is filled with water. Slowly the water reaches all the plants. After sowing seeds, it takes 1.5months to blossom. I will not use any additional plant growth promoters to increase the yield except nipping of the tip of the plant manually. It is done so to get more number of shoots. If we do not remove the tip then, it will not flower and plant girth would increase thereby it is imperative to remove the tips. After nipping more branches develop hence the yield increases. Cowpeas can get attacked by insect called kari jigi. Mostly my crop doesn’t get affected by any pest or disease but if in case of any such issue I would take guidance from experts. Presently I do not take any preventive measures too as entire crop cycle is maintained as natural as possible. The seeds are sown mostly in November and harvested after three months. Harvesting is done in steps that begin from 3rd month that is February onwards and continues till mid April. Once in a week or 15days depending upon the quantity of the yield, it is harvested. As raw cowpea doesn’t fetch good money it is allowed to dry on plants itself. The dry pods are then plucked, seeds are separated and dried on tarpal before selling. It is much more gainful. Entire farm produce is sold in Koppal or Kushtgi market (taluk) in Karnataka. Price is fixed as per that particular day market price. After harvesting cow peas, it will be summer hence we give the soil and land rest. We till the land and leave it as it is so that sunlight penetrates deep inside the soil then after the next crop is cultivated. Presently as I grow crops only on 0.5 acre intercropping is not possible because to grow intercrops we should have space between rows and plants. Right now in my farm there is no space between plants as the rows are 1.5 feet apart while plant to plant distance is less than 1 feet. Cowpeas’ leaves would wither and fall on the ground that naturally nourishes the soil. Even the stem is rich in nitrogen content thereby acts as good manure. Post harvesting cowpeas from the plant we mulch the entire plant back in the soil thus for the next crop, requirement of manure is very less. In future I might plan to cultivate tomato as commercial crop after I gain some more confidence on farming with respect to deep understanding on the characteristics of the soil, natural cycle of plants growth etc. My immediate plan is to grow superior quality mango trees. The fruit is always in good demand and yields for many years. Farming is most satisfying profession and soil never lets the farmer down. Last season I had bumper crop of sweet corn. The yield obtained was 10.5quintals for less than a kg of seeds! Next when I cultivated groundnut, I got 13packs of 48 kg each from the same 0.5 acre. It proves if we really work hard and take care of the soil then we would get gold from the soil in the form of bumper crop.